Every cup of pure Indian tea is a delight and although this year has taken more than fair share of its toll, there’s the bit of good news coming in from the gardens. 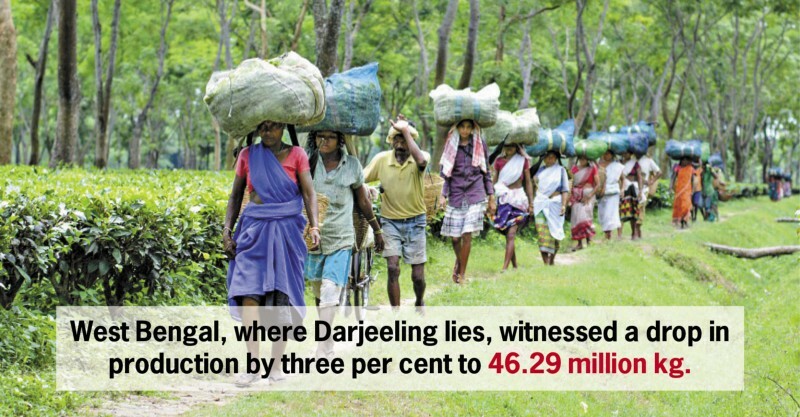 An unfortunate turn of events led to a complete shutdown in the region of Darjeeling in West Bengal for over 3 months. Further east, the annual floods of the Brahmaputra turned out to be more violent than usual and claimed several lives in the valley. All eyes remained glued to the reports that were turned in by the estates in August this year and it was a great moment of relief when they finally arrived. 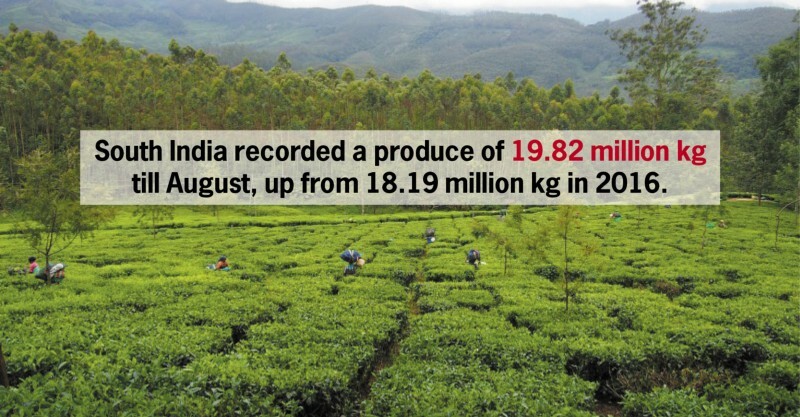 According to reports, India’s overall tea production is estimated to have increased by 5.85 per cent to 167.98 million kg in August this year as against 158.70 million kg during the same period last year. Of the total production, North India contributed 148.16 million kg, while the output from all the southern States of India put together stood at about 19.82 million kg during the month. Trade analysts claim that this is just the tip of the iceberg. That if the odds were counted out, this would have been a remarkable year for Indian tea. 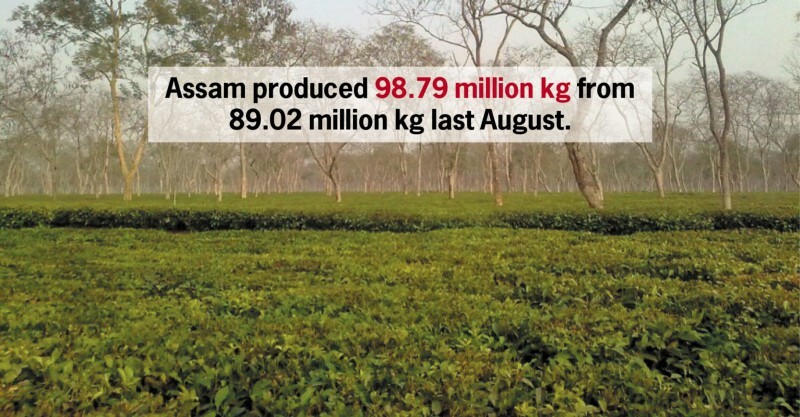 According to TEA Board of India, among the key States, the output in Assam is estimated to have increased to 98.79 million kg from 89.02 million kg in the corresponding period last year. The tea production in Assam has increased despite the severe floods in upper Assam, central Assam and terai. However, production in West Bengal is estimated to have dropped by three per cent to 46.29 million kg from 47.69 million kg last year. As per data, there is no production in Darjeeling since June this year due to unrest while it produced 1.57 million kg of tea last year. From Dooars, only 26.88 million kg tea output is expected till August as compared to 27.95 million kg last year during the period. In southern States, the total tea production is estimated at 19.82 million kg till August as compared to 18.19 million kg last year. The tea production in Karnataka has declined to 0.45 million kg as against 0.56 million kg till August last year. The decline in tea production is attributed to uneven rainfall or deficient rainfall in the State. Of the 26 districts, 98 taluks will be declared drought-hit following the failure of south-west monsoon. The State has received 774 mm of rainfall till September this year as against 839 mm last year. The production in Kerala and Tamil Nadu has estimated to be increased this year. 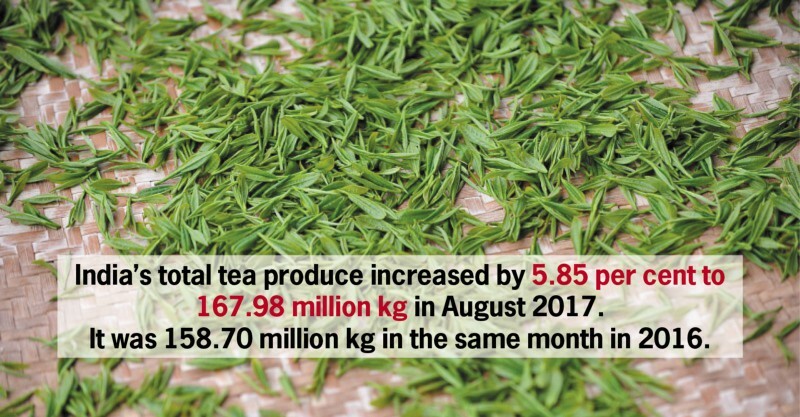 The tea output in Kerala has increased from 5.15 million kg last year to 5.49 million kg this year while Tamil Nadu has also recorded an increase of 1.39 per cent this year. Tamil Nadu has estimated 13.88 million kg this year as against 12.49 million kg during the same period last year. 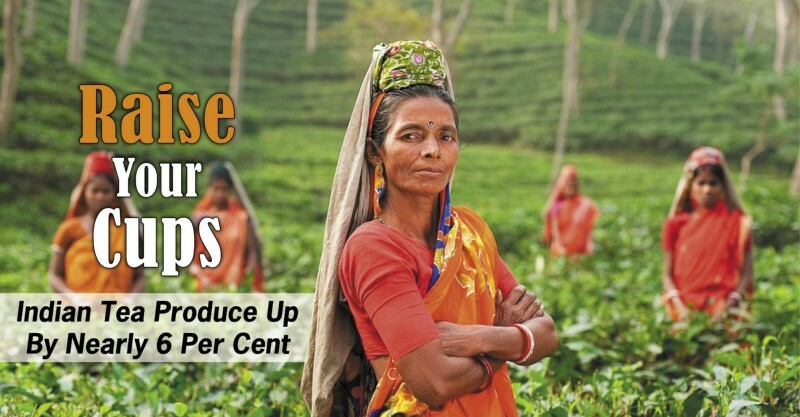 On an average, the country produces around 12 lakh tonnes of tea annually. It is significant to note that more than 80 per cent of total tea production is consumed within the country. Despite India’s large domestic consumption base, exports play a vital role in maintaining the overall demand-supply balance in the domestic market. Assam, West Bengal, Tamil Nadu and Kerala are the major tea growing States. They account for 97 per cent of the total production. Other traditional States where tea is grown to a small extent are Tripura, Himachal Pradesh, Uttarakhand, Bihar and Karnataka. 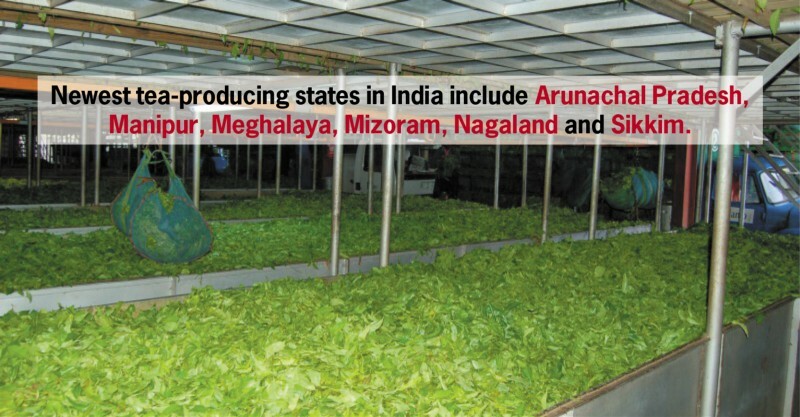 The non-traditional States that have entered the tea map of India in the recent years include Arunachal Pradesh, Manipur, Meghalaya, Mizoram, Nagaland and Sikkim. Although Temi Tea Estate of Sikkim has been producing quality teas for some time, it has only recently found a global appeal and a dedicated market. More than one-third of Indian teas are exported to West Asia and North Africa (WANA) countries. These countries especially UAE, Iran, Egypt, Pakistan, Saudi Arabia and Afghanistan have high per capita consumption and continue to import teas as a commodity in bulk from an exhibit good potential for future growth.